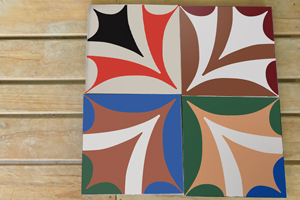 Handmade tiles with different sizes: 10x10 cm, 10x30 cm, 20x20 cm, 30x30 cm, 40x40 cm; that corresponds the rectangular and square Tiles. 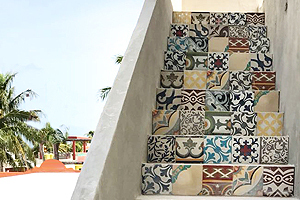 The most common tile is 20x20 centimeters(7.87 x7.87 in), weight of 1,700g (3.747 lbs) and a thickness about 2.1cm to 2.2cm (0.826 to 0.866 in maximum). 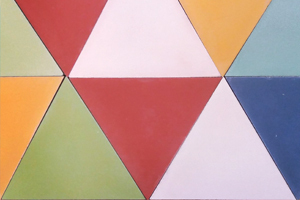 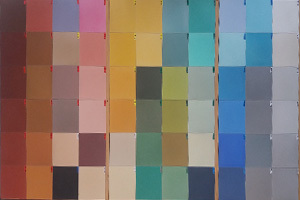 Tiles of colors, specifically selected from a color palette of tones to decorate floors and walls.